My uRV.. I’m kind of proud of how it turned out. On my most recent uRV trip I visited the RV Museum in Elkhart Indiana. 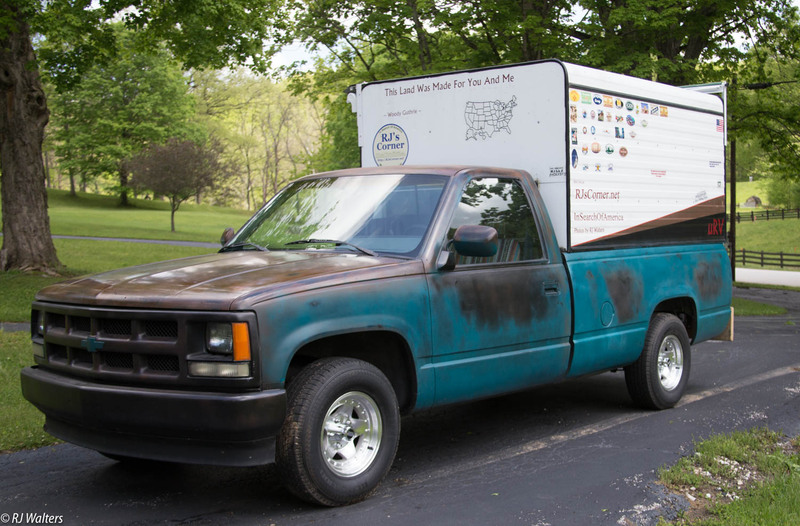 Being that I have spent the last three years converting my twenty-five year old pickup truck with a six foot cap into a rat-rod micro-RV I wanted to learn a little more about the beginnings of that idea. Anyway, the RV Museum was an interesting visit. There were many historic vehicles on display. Most seemed to be from California. I don’t really know why northwest Indiana became the RV-manufacturing capital, that is a story I will have to study up on that. Hard to picture Mae West in an RV :). That’s what I said to myself when I saw it Jane. But it was pretty fancy for the times… and the story on the placard was an interesting one wasn’t it? Good stuff. Elkhart is not far from us, so perhaps we’ll make the a road trip to see the museum. It was a good visit but Elkhart as a whole kind of disappointed me. The tourism bureau listed four other things to see but even on a Wednesday they were closed or I just couldn’t find them, even with GPS?? So I ended up spending the last half of the day going to the Indiana Dunes. I had been there years ago but… I will post that adventure here soon.